The Ponte della Maddalena is the most recognisable structure in our area. It is a 900 year old treasure. It is possible to see in this photo some of the build up of debris on the buttresses of the bridge. We have had lots of rain over the last 12 months and the river has been carrying lots of rubbish along with it and quite a bit has gathered around the base of the bridge. Finally, the clean up has begun. The river has been diverted and the tree branches and other bits and pieces are being removed. It is good to see the Ponte della Maddalena being looked after. I never tire of looking at this amazing bridge every time I pass. I often stop and walk across and enjoy the view from the top as well. Let’s hope it is here for another 900 years. Francis has written about the clean up too on his blog. Click here to see his report. 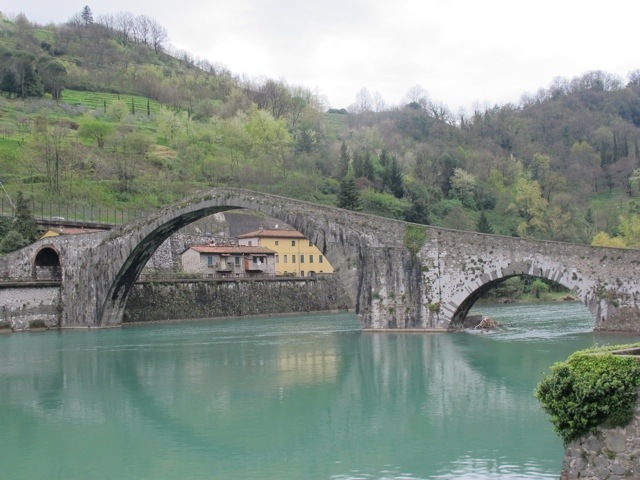 This entry was posted in Things to see and do and tagged Bagni di Lucca, Borgo a Mozzano, Italy, old bridges, photography, Ponte della Maddalena, travel, Tuscany by Debra Kolkka. Bookmark the permalink. I haven’t tried the pizza restaurant, but the local produce shop beside it is good. I think everyone here loves this bridge…it means you are almost home. 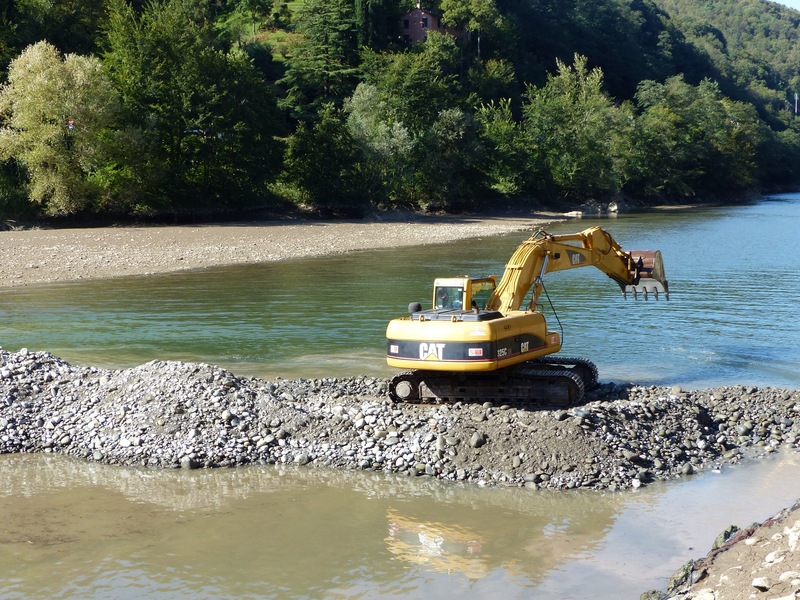 It is great to see these works taking place, as the debris was significant. 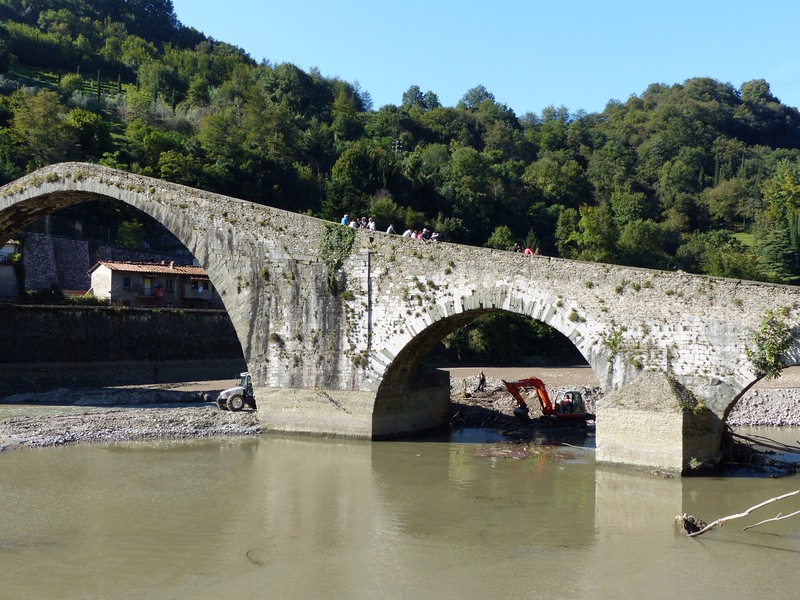 Matilda of Tuscany, the Great Countess, who had the bridge built, must be very happy about it… wherever she is…. Perhaps she is watching from somewhere. This is great news…. Thanks for sharing. This site alwsys means we are almost home! I love that too. 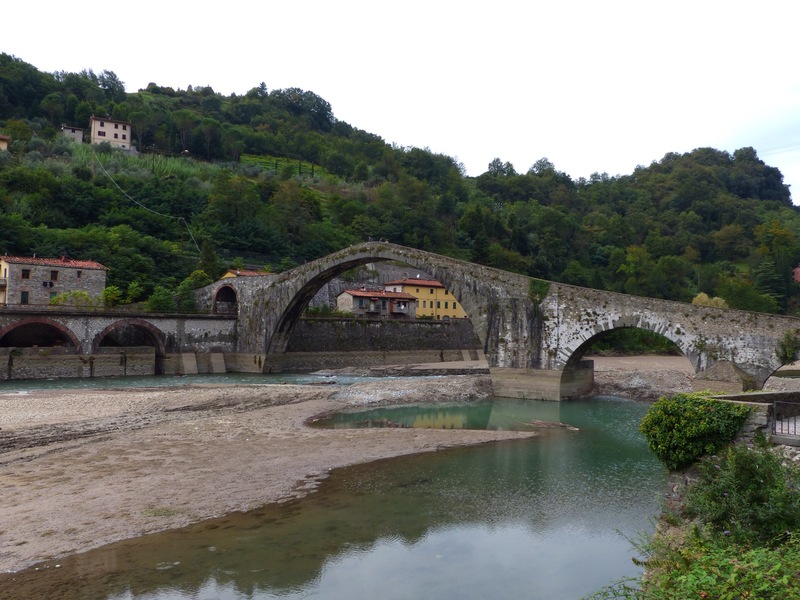 When I arrive in Bagni di Lucca from Australia, usually on the bus, the sight of the bridge tells me I will be home soon. Great to see the old treasure being taken care of. I’ve been following the work on Francis’ blog too. I think we are all pretty happy to see the work being done. It is certainly iconic in the area. Great to see that this work is being carried out. 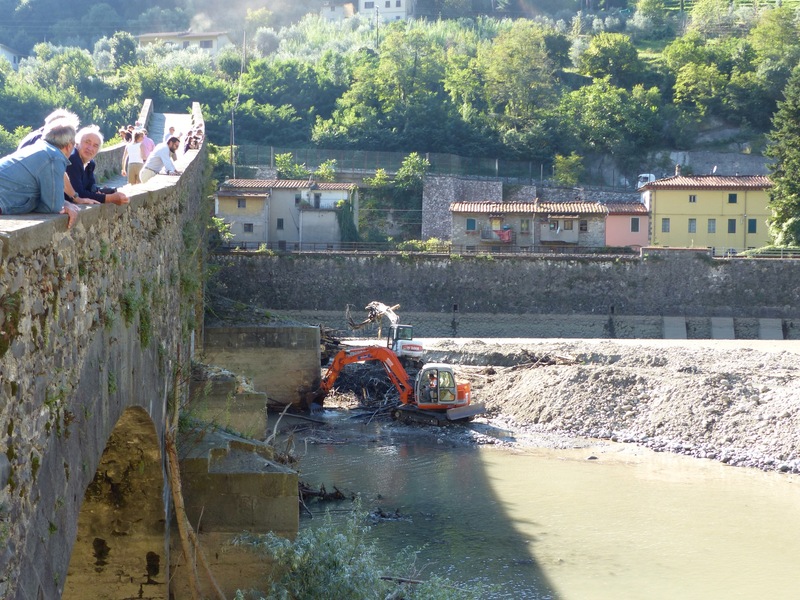 Hopefully it helps in keeping the foundations of the bridge strong for future generations to stroll over the beautiful Ponte della Maddallena. It would be terrible if something happened to this bridge. 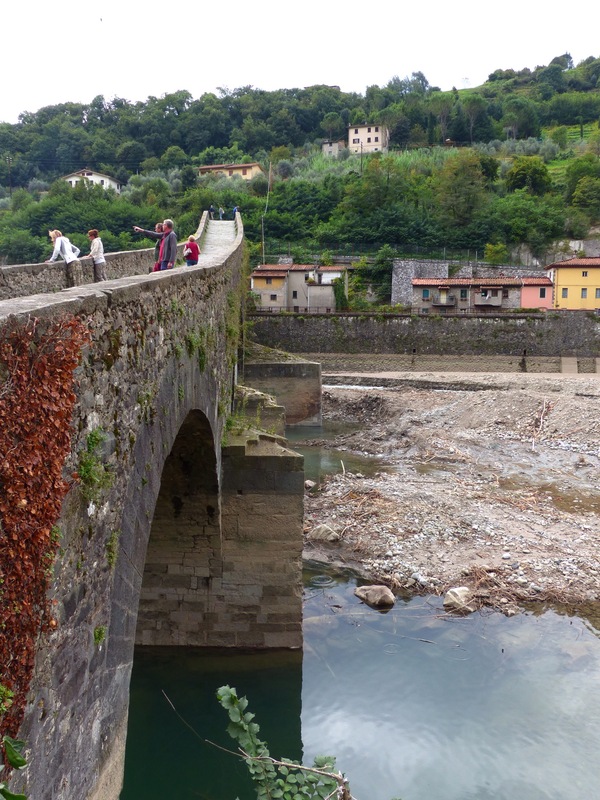 I always look for this iconic bridge each time I visit Bagni di Lucca. I love its simple beauty and its reflections on the river. It’s amazing that this bridge has withstood the test of time – 900 years, wow! Lovely to see the river being cleaned up. Does that mean purer water for the fish? They are not cleaning the river, just the rubbish around the bridge and checking the walls on the side of the river. The water is another issue.